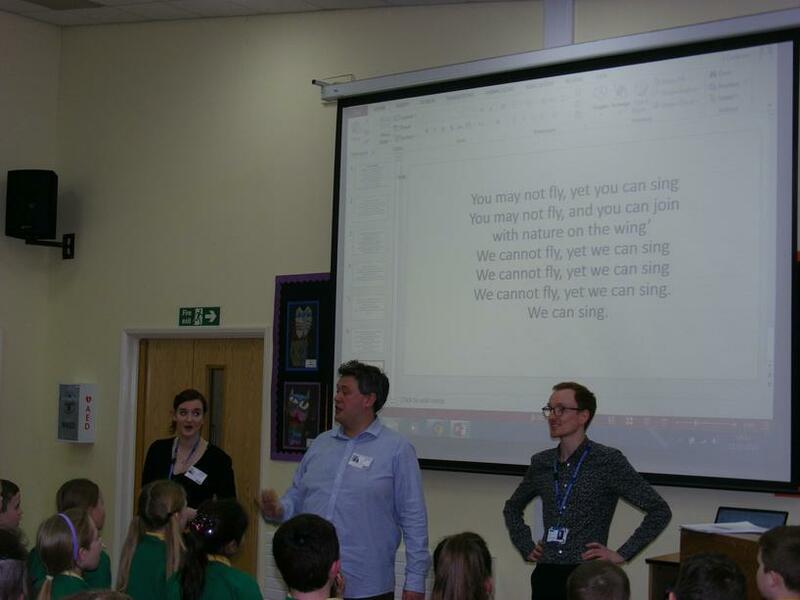 Today the choir thoroughly enjoyed working with Tom, Matthew and Anna on the sing together songs. Tom thought our singing was excellent! We'll be continuing to learn these songs during our weekly choir sessions. The children sang beautifully at all the Christmas events they attended. Our first event was our school Christmas Fayre, we also sang at Calvary Church on a Sunday morning. We really enjoyed singing to the older members of our community at Lostock Lodge and at Ward Street Sheltered Accomodation. This year, we went over to Lostock Hall Academy and took part in their annual Christmas concert, it was good to see the older children performing. A very big thank you to all of our parents for supporting all of these events. We were very pleased to be invited to take part in 'Lostock Hall Remembers' a special concert organised by members of the Lostock Hall British Legion. 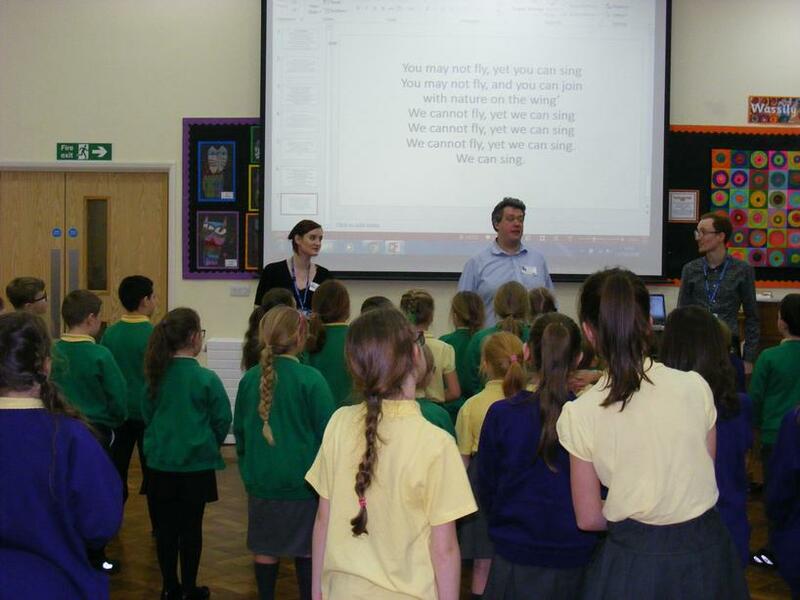 Members of our school choir from years 4,5 and 6 took part, we sang three songs with a link to remembrance these were:- Sun Arise, Run with your heart and I am a small part of the world. The children then sang 'I vow to thee my country' and were accompanied by the Lostock Hall Memorial Brass Band. We enjoyed listening to a variety of music by the brass band and the singers from Lostock Hall Academy. The children represented our school fantastically and a big thank you to all of the parents who came along to support the event.